CLI’s open course format is ideal for individuals and (small) groups who would like to apply collective leadership and stakeholder collaboration in their daily work. We offer three CLI foundation courses “The Art of …”, each with a different focus. If you wish to participate all three, find more information under certification track. If you wish shorter introduction workshops instead, find them in the short courses section. Are you starting a complex cooperation project, or are you in the midst of one you want to improve? Do you need to shift the mind-set of stakeholders toward collaboration, or to find new ways to overcome challenges? Do you need to arrive at tangible outcomes in a short time frame? Stakeholder Collaboration has been recognised as critical to finding solutions to the complex challenges of sustainable development. 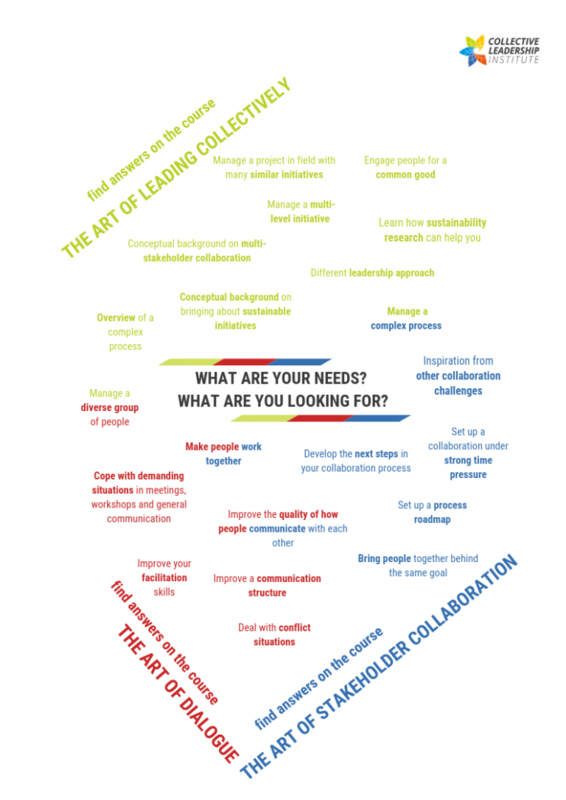 The Art of Stakeholder Collaboration is the foundation course of CLI’s educational programme. In this course, you will build your strategic abilities and implementation skills in stakeholder engagement, dialogue, and collaboration processes for high-impact solutions. 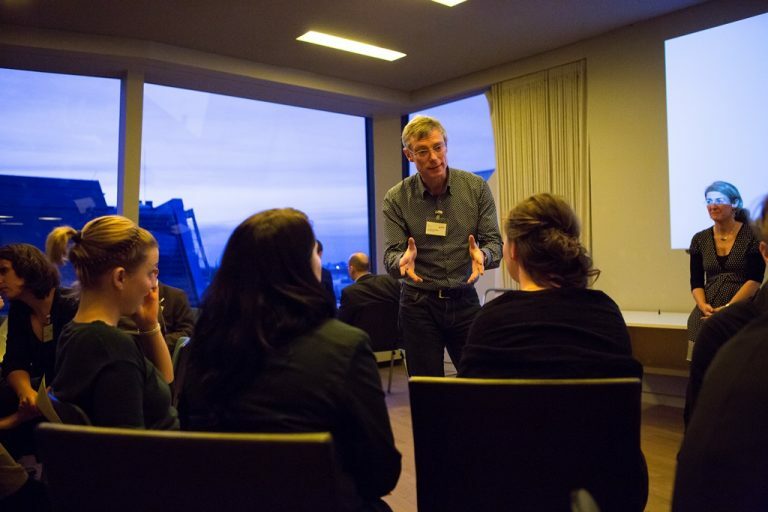 For experienced trainers and facilitators or for people who participated in one of the other open courses already and who wish to improve their dialogic facilitations skills, The Art of Dialogue offers plenty of opportunities. Learn about new tools for dialogic facilitation and develop your own personal leadership and communication styles for Stakeholder Collaboration. Self-observation, peer-reviews, and our professional feedback will guide you through the journey of improving your communication. Come with your (cross-sector) team and enhance the quality of your team communication. * All figures are based on the anonymous participants’ course assessment for our courses between 2015 and 2018.